Health Insurance For Children concerns have been raised by a Republican senator that the State of Florida might not be able to sustain the current children’s insurance program. The senator expressed fears that if Congress does not release money quickly, it will become difficult to run one of the major insurance programs in Florida. The same concerns had earlier been expressed by health insurance for kids advocates who claim that the Federal government should come up with long-term solutions for the problem. Miami Republican Senator, Anitere Flores who also happens to be a member of the healthcare budget committee on Wednesday said that Florida health insurance program is highly dependent on the federal government. “We strongly hope that Congress will act swiftly to have the funds approved, we don’t want to see a situation where innocent children will go without such critical services,” said Flores who is also the chairwoman of the Health and Human Services Appropriation Committee. According to Beth Kidder, the short-term fix for health insurance for kids is only expected to keep the program running in Florida until March 2018. Speaking to legislators, Kidder who is the secretary for Health Care Administration said that if no action is taken after March, then over 200,000 children will have to seek for alternative health-insurance covers. A study conducted by Georgetown University revealed that most states including Florida would shortly run out of money to sustain the insurance program. They said that after scrutinizing public data, they predicted that most states would not have money to sustain health insurance for children by the end of February. The report also expressed concerns that it was becoming difficult to exactly determine when money will run out in several states because of the way Congress is operating. Besides that, a bill (HB 293) that is designed to create a 12-member KidCare Operational Efficiency is set to be presented to Congress for approval by the House health committee. The members of the committee are hopeful that the bill will sail through and help bring in more funds for children health insurance. KidCare is an umbrella name for different child health insurance programs namely; Medikids, Federal Children’s Insurance Program (CHIP), the Florida healthy kids program and Children’s Medical Services Network which offers medications to children with complex health conditions. The sponsor of the bill, Rep. Nicholas Duran was asked by Rep. John Kortes as to whether the action the delay of approval of funds by the Congress would affect the activities of the committee in any way. “This task force is very crucial considering the happenings in Washington DC about the CHIP program. Currently, we have close to 2.6 million children registered for the Florida KidCare program” said Duran. 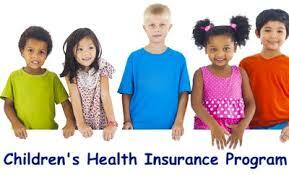 It is also important to note that health insurance for children advocates have for a long time raised concerns that the KidCare program is not user-friendly considering the large number of agencies involved that is the Florida Healthy Kids Corporation, Agency for Healthcare Administration as well as the Department for Children and family. They say that it has become difficult to track how funds are being utilized by each agency since most of them operate in different states and under different circumstances. They have called upon both the Federal government and Congress to come up with a solution on the same.